Detached spacious family town house. This is a spacious five-bed detached house conveniently located in the popular town of . . . 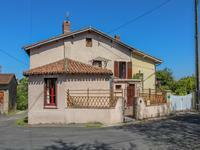 This charming and spacious property is situated close to the popular village of Bellac with . 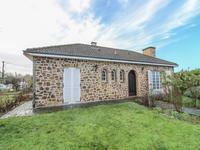 . .
Two houses -a detached farmhouse and cottage with barns, 1.8 hectares of land, forest and access to a fishing lake. 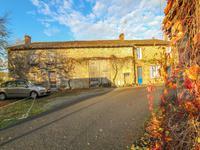 Two houses set in a quiet hamlet- a farmhouse and a cottage to renovate with two barns, well, . . .
A town house situated in the old historical part of town with breathtaking views. This is a spacious and elevated property located in the most beautiful part of the popular . 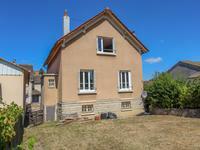 . .
A detached spacious family town house within walking distance of all amenities. A nice spacious house with art deco charm with lots of potential, composed of 2 bedrooms, . . .
A lovely detached bungalow. 3 bedrooms, garage and garden. This is a good sized detached bungalow in need of updating with three bedrooms, patio, garage . . .
A townhouse and shop superbly situated with huge business potential. 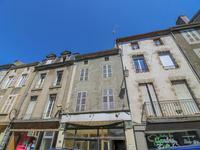 A town house and shop in the heart of the lovely town of Bellac, in close proximity to shops, . . .
A little gem in the beautiful countryside of the Haute Vienne. Close to the local town of Bellac with all amenities such as supermarkets, bars and restaurants. 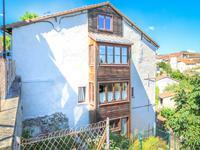 This house oozes with original features and charm located in the old town of Bellac. It is . . .